The Notebooking Journal is appropriate for upper elementary students, in approximately 4th-6th grades. The Junior Notebooking Journal is intended for younger elementary students, approximately K-3rd graders, who haven't quite mastered handwriting. 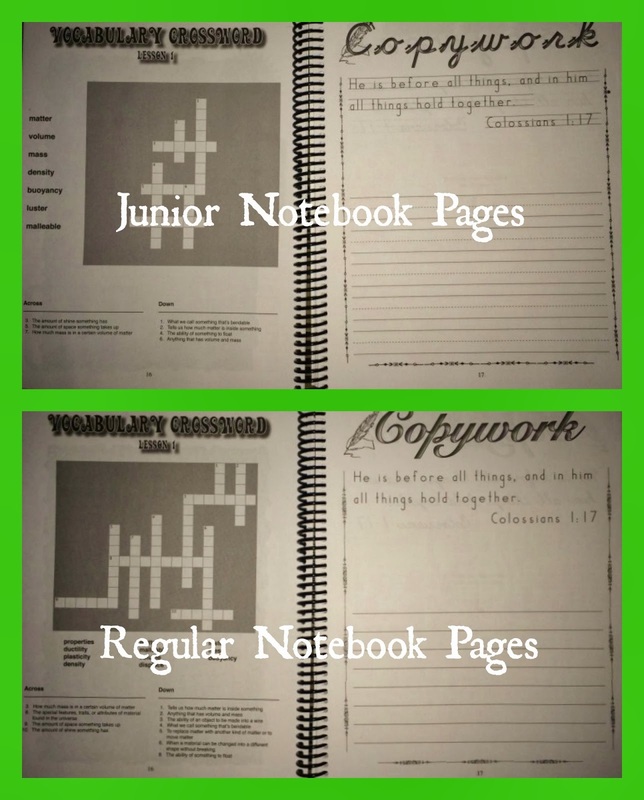 The junior journal includes coloring pages or other activities instead of some of the writing assignments, and elementary handwriting lines for copywork. The notebooks include lesson plans, which schedule 2 days of lessons per week, for 28 weeks of lessons. The first five lessons cover chemistry (topics include matter, atoms, compounds, and mixtures), and the remaining 9 cover physics (motion, energy, sound, light, thermal energy, electricity, magnetism, and simple machines). The book is written in a conversational style to the student, which all my children enjoy. It's so much nicer than reading a traditional textbook! While the notebooking journals are not required to use the textbook, they are a really nice addition to the program. First of all, all the pages are nicely spiral bound, which means children can't lose them. How many times have we started a binder, only to have papers spread about the house? I don't think I will tell you, actually, because that would be so embarrassing! There are also additional activities in the notebooking journals if your child is interested in pursuing the topics further. 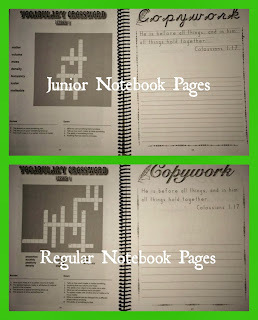 The activities are the same in both the junior and regular notebooks. Example: for Lesson 3, "Building Blocks of Creation," one of the suggested activities is to make a memory game out of the first 100 elements in the Periodic Table. You put the symbol on one card and the name on the other, and then try to match the symbols to the names. What a great idea! Mrs. Fullbright also includes book suggestions for each chapter for supplemental reading. There is a link on the bottom of the Apologia site called "Book Extras." In the front of the textbook, there is a password which allows you to gain access to information related to the page of Chemistry and Physics links and printables. There are links to various activities and videos correlated with each chapter in the book for further exploration. There are some free notebooking pages if you'd like your student to have some structure for creating their notebook, or just want to try out note booking before you decide if you want to purchase the journal. One thing I love about this curriculum is the way it presents concepts to elementary students so that they understand, but are not "dumbed down." In lesson one, we learned about the difference between mass and volume, and I thought the illustrations were excellent. First, we saw a picture of two loaves of bread, both with exactly the same ingredients, but for some reason, one had risen but one had not. They both had the same mass, but clearly not the same volume. Another example showed one girl with smooth, straight hair next to a picture of a girl with very curly hair. No question which hair had more volume! Along with narration, which is key to students making what they learn their own, the activities and experiments do an excellent job of illustrating the concepts and helping students understand the "why" of what they're reading. I enjoy learning along with my children so much, and it's always a joy to discover something that helps me teach them in such an engaging way. 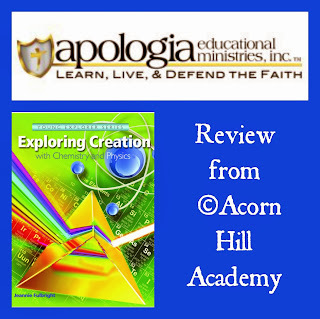 This was our second experience with Apologia's Young Explorers Series, and I really am impressed by how well this curriculum is put together. As a Charlotte Mason homeschooler, I know there are many, many living science books out there, and for me, it's worth seeking them out and putting things together for myself. However, sometimes there just isn't time, or life intervenes, and it's a tremendous blessing and time saver to have someone else put the plans together. 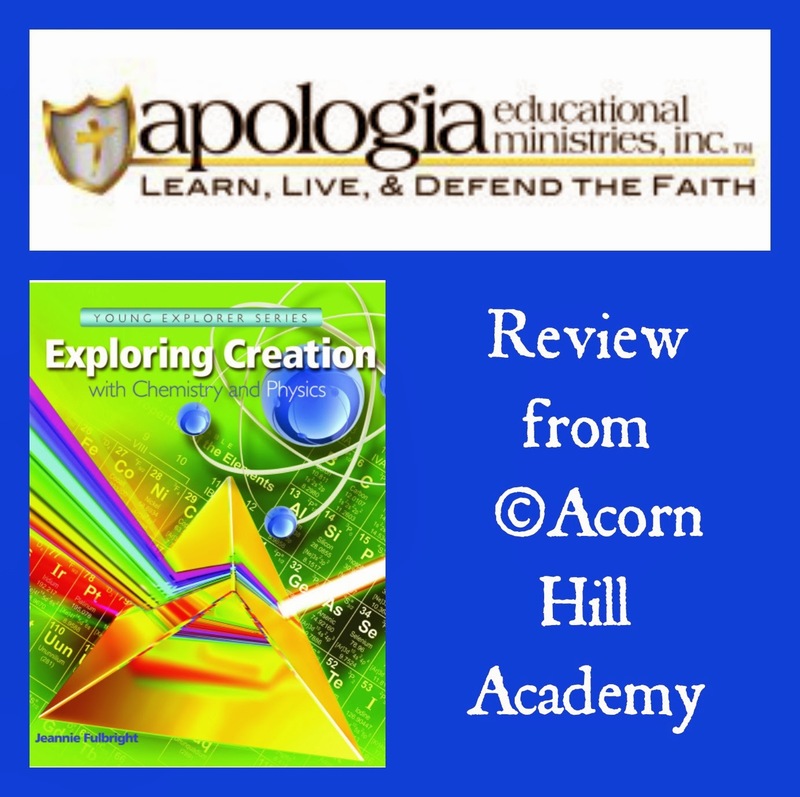 Apologia offers a wonderful homeschool science resource. Click to read more reviews from the Schoolhouse Review Crew!